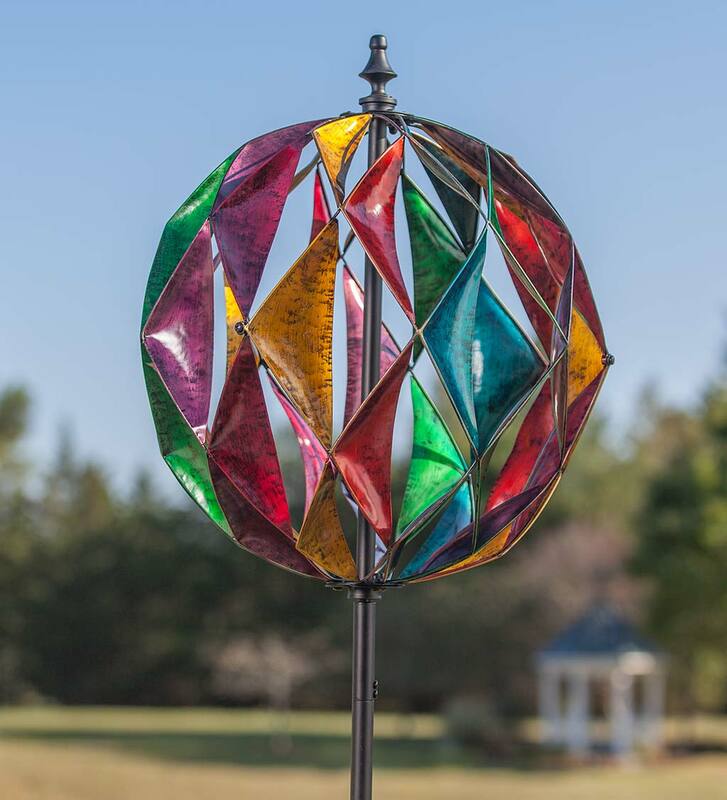 Our unique Harlequin Ball Wind Spinner features pieced metal triangles arranged to form a sphere-like shape. The design creates a harlequin affect that lends dimension even when it's not in motion. 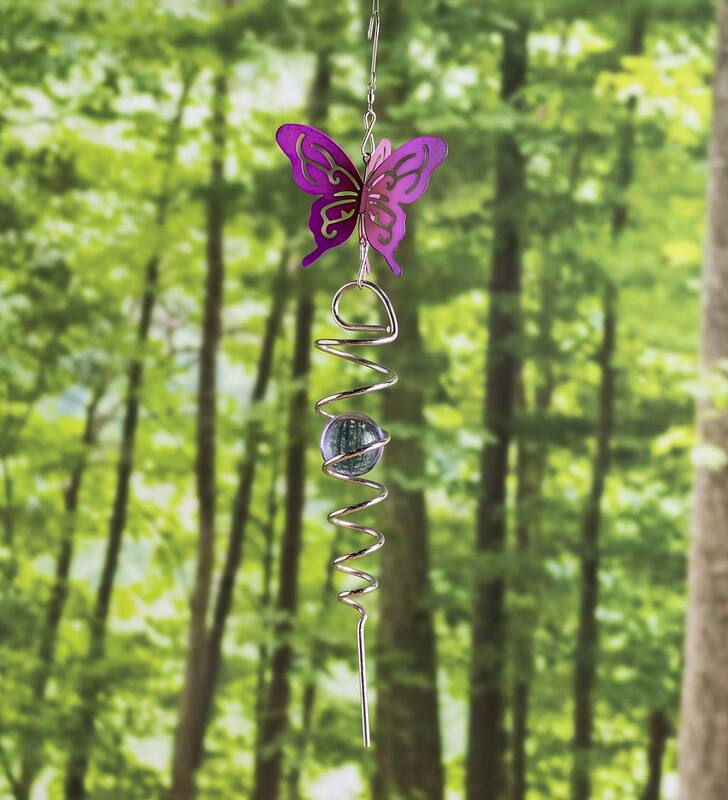 When the breeze blows, you'll love the mesmerizing movement of this spinner and the way it catches the light. Made of durable metal with a long-lasting combo finish of paint and foil for great color and depth. 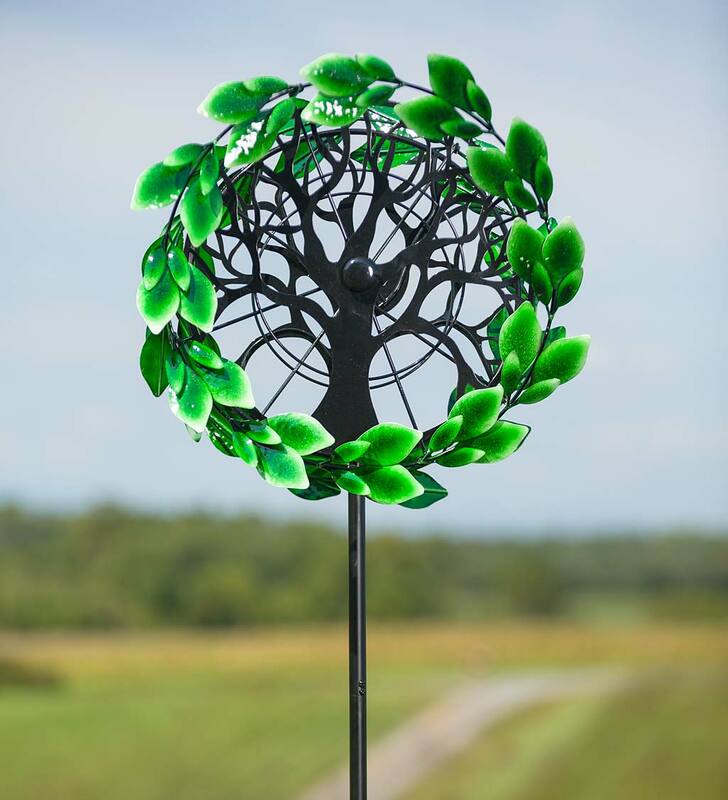 Plant this Ball Wind Spinner anywhere in your yard, and it enjoy its beauty all year long.